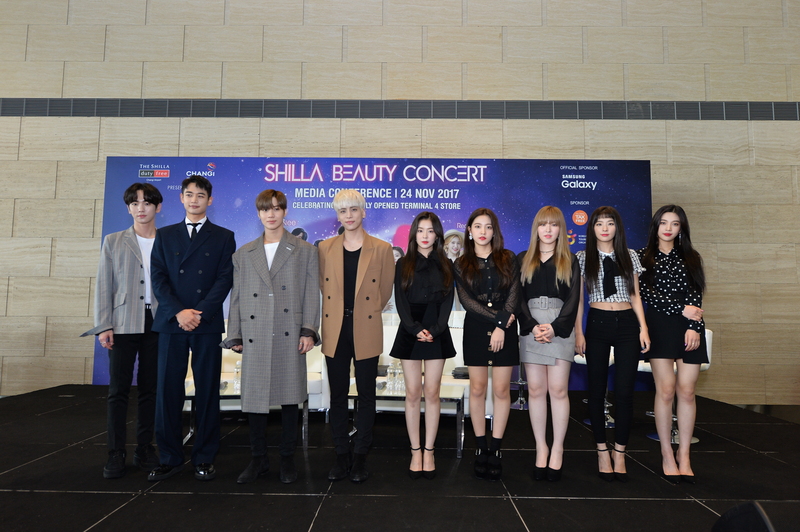 Singapore, 2017 – Korean pop sensations SHINee and Red Velvet visited Changi Airport Terminal 4 (T4) for the first time and met the media before their scheduled appearance at Shilla Beauty Concert on 24 November. Jakarta, 2017 – SHINee’s Minho surprised fans with his appearance at Indonesian Television Awards 2017, an annual celebration held by MNC, one of the biggest broadcasting and media companies in the country. Actor Jin Goo attended this event last year and this year, they invited Minho as a special guest star on September 20, 2017, gaining interest from his fans and to flock the building to catch a glimpse of the said idol. Hong Kong, 2017 – S.M. Entertainment, known for their talented artists and their spectacular performances, is bringing ‘SMTOWN SPECIAL STAGE in HONG KONG’ to Hong Kong, making this the first time for Hong Kong fans to see various SM artists at a live show.